My inability to negotiate is the stuff of legends. And let me tell you, that’s not something as a collector I should go about touting, but it’s true. When I was a little kid, my parents held a garage sale with our neighbors and I was told I could keep all the cash my “stand” made. So of course I dug out some old toys that I determined weren’t worth playing with anymore. This included a laundry basket-full of He-Man action figures and playsets. I was charging $1 for each figure and $10 for each of the playsets. About an hour into the sale, a man walked up to me and offered $20 for the whole package. There was probably $20 in figures alone, so I refused. Since the guy realized I was just some kid, and not someone worth engaging in negotiation, he went over to my dad and made him the same offer for the toys. My dad came over to my table and told me to relent and make the deal. Perhaps that’s the moment where I developed my inability to negotiate and decided to just accept the given price for a product. Back in college, my wife and I would go to Chinatown in New York City and she’d be swinging two-for-one deals on sunglasses, purses, t-shirts, whatever. She told me that the secret to any negotiation is to not be afraid to walk away from an item if you can’t get it for the price you want. Of course, my attitude is, I wouldn’t be looking to spend money on something unless I really wanted it right that second. So needless to say, when it comes time to make large joint/household purchases, my wife is the one who leads the discussions. I just stand in the back, awkwardly avoiding eye contact with the salesman at all costs. We’ve found it works best that way. 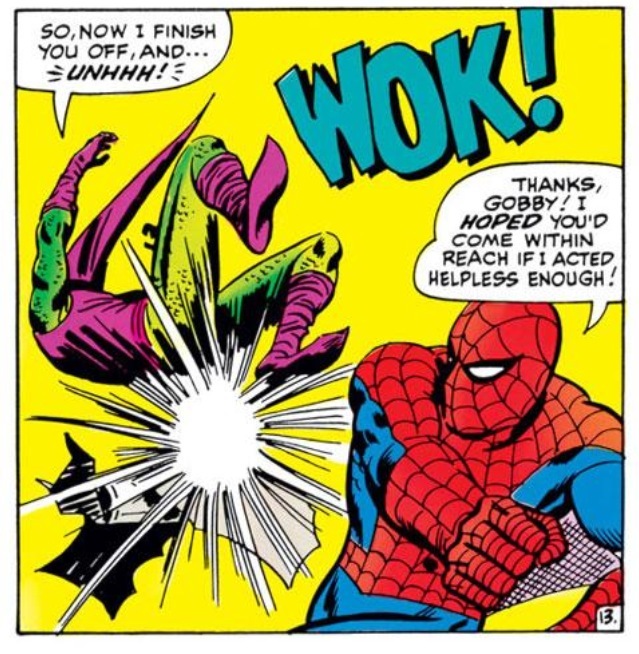 Amazing Spider-Man #40 is an instance where I stumbled into a successful negotiation. It was awkward and painful, but I was able to walk away with a comic book at the price I was willing to pay for it – namely the remaining bills in my wallet. The monthly comic book shows at the local Holiday Inn were a regular diversion for me when I was in junior high school. While these shows were not on the size of level of the annual Comic Cons that pop up around major cities, for a 13-year-old who was just getting into collecting “older” Silver Age comic books, these events were the highlight of my month. A small group of us would either hitch a ride together or meet at the hotel and split up to do our shopping. We’d meet back up again after a few hours and compare our monthly haul. At that point there was one classmate of mine who I considered to have a superior Amazing Spider-Man collection. So when we showed off our purchases after each show, I was always very mindful of what he picked up. Was he able to find an issue worth more than mine? Older than mine? More influential than mine? I don’t remember the exact circumstances, but I arrived at this one particular show a little later in the afternoon on a Sunday. It was the last day of the show, and for many of these guys, they’re just looking to move whatever product they got left so they don’t have to haul anything back to their shops/homes/whatever. I was sifting through this one guy’s ASM box and partly out of hope and desperation I walked my fingers to the front of the box, hoping to land some kind of hidden (price-reduced) treasure from the Silver Age. 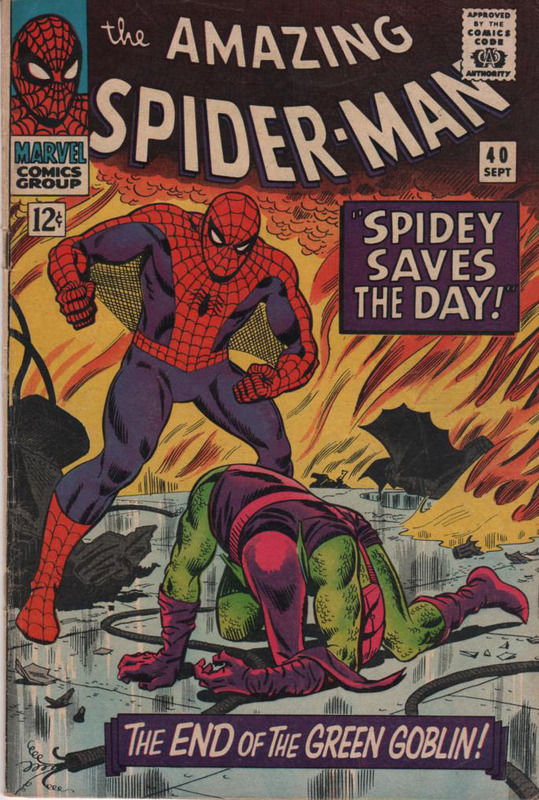 The first 30 comics or so on the box were all well beyond my price range, until I stumbled upon ASM #40, which was very significant as it was the origin issue of one of Spider-Man’s greatest villains, the Green Goblin. It was the follow-up to the landmark ASM #39, which is John Romita Sr.’s first artwork on the title, giving the world one of Marvel’s greatest covers of all-time. 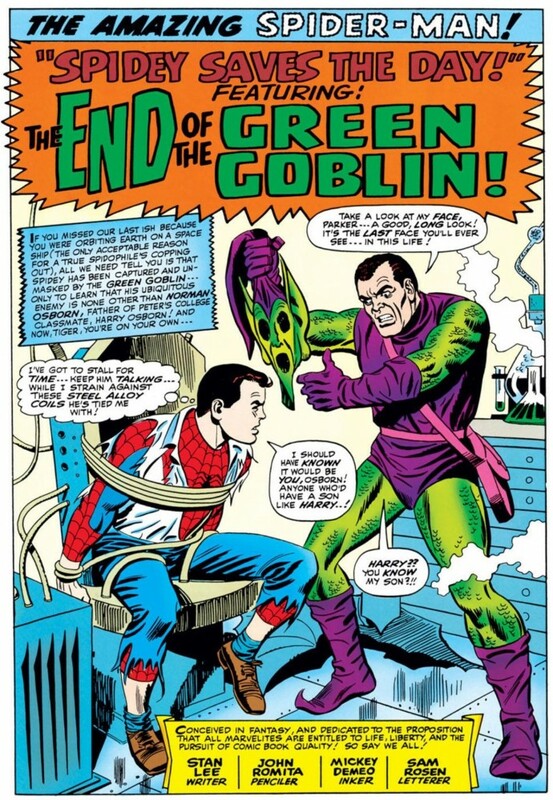 While ASM #40’s cover isn’t quite as iconic, the story inside, which detailed how Norman Osborn became the Green Goblin, is one of Spider-Man’s greatest issues ever. The problem was the dealer was asking for $50 for the issue, and all I had in my wallet was a 20, a 10 and a stack of 1s, which I was assuming wasn’t $50. I lingered at the table for a few minutes, debating how to proceed. Since I’ve attended a few of these shows, I saw how these negotiations worked – a guy would hold a stack of issues and offer to pay a few bucks less than the collective asking amount. And usually the dealer would oblige. But I didn’t have that kind of leverage. I wanted to buy just one issue, and had an undetermined amount in my wallet. What I did have on my side was time. In another hour or so, the show was set to close and all of these dealers were going to have to pack up their long and short boxes and go home. So after standing at that table looking like an idiot for a few minutes I showed the dealer the comic and asked him if he’d take $40 for it. I remember the look of pause in his eyes. He wanted to say no. It’s not like I was going to walk out with the bargain of the century. The comic had some serious wear and tear and it had been sitting in the box all weekend priced at $50 with no takers. But I’m sure it was the principle of the matter for him. Why should this random kid who wasn’t buying anything else get $10 off the asking price? But as he had this debate, I imagine he took a peek at his watch and saw it was either make this sale, or wait for next month’s show to see if he could sell it for $50 again. So he begrudgingly agreed. Just to add insult to injury, when I emptied my wallet, I actually only had $39 on me. When I counted my bills and realized my $1 miscalculation, I became panicked and anxious again. What if this guy rescinded his offer? I asked him if it was cool if I was a $1 short and he shot me a “take your comic and get the hell away from me” kind of a look (some of you might have received this look yourself at some point). No matter. I was now a proud owner of ASM #40 and I had temporarily overcome my inability to bargain a lower price to boot. I considered this moment a coup. 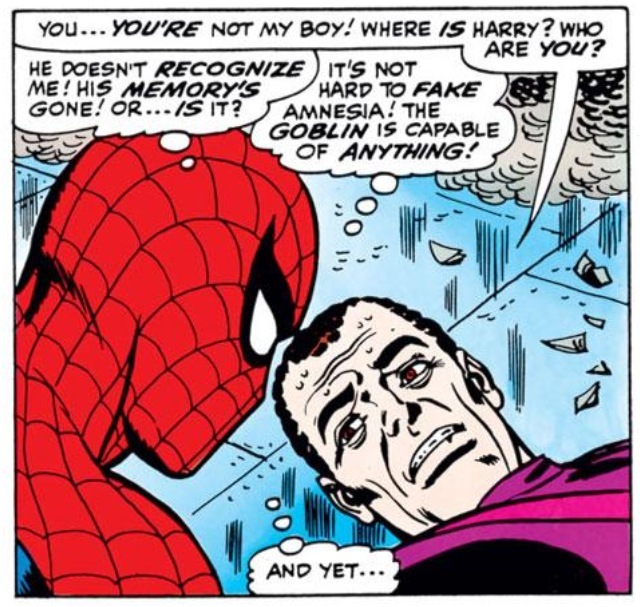 It was probably the most significant issue of Amazing Spider-Man I owned to that point and it instantly became the pride and joy of my collection – something I bragged about to anyone who cared about that sort of thing, including that one kid who I always thought had the better collection than me. 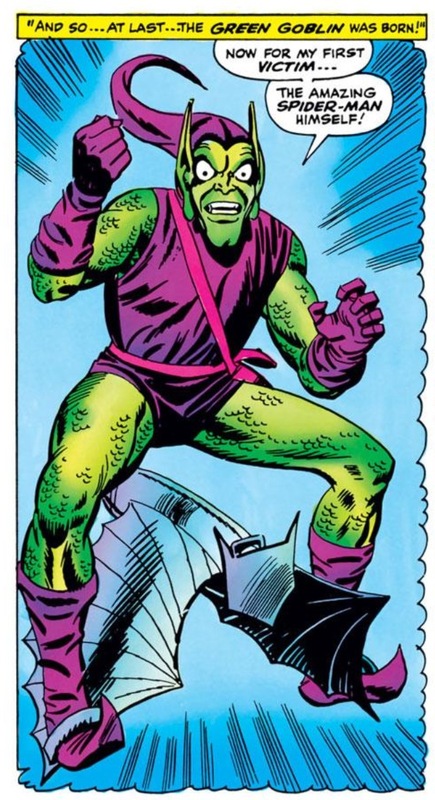 I may have owned other Silver Age-era ASM’s but the issue that first detailed the origin of the Green Goblin was clearly head and shoulders above comics like ASM #63, an interesting, but ultimately inconsequential Vulture story, or ASM #41, which featured the first appearance of Rhino, an upper echelon Spidey-villain but hardly someone on the level of the web-slinger’s most nefarious nemesis of all in Goblin. For years, until I started to drop serious money on ASM issues, when someone asked me what was my “best” comic, I would answer without blinking, Amazing Spider-Man #40. However, I can’t say this purchasing experience emboldened me to become a better negotiator for future transactions. In fact, I can think of a few times where I had a stack of issues and the dealers actually knocked a few bucks off without me asking because they’re nice guys. I mean, if that’s the price they’re asking for, why should I expect to pay less? It’s not like I’m some guy trying to rip off a little kid selling He-Man toys at a garage sale. Mark Ginocchio is a professional writer and editor living in Brooklyn, NY. He's been collecting Amazing Spider-Man comic books since the late-1980s and launched Chasing Amazing in 2011 as a way to tell his story about Spider-Man, comics, collecting and everything else in-between. You also find Mark's writing at Comics Should Be Good at Comic Book Resources, WhatCulture.com and Longbox Graveyard. Follow him on Twitter for comic book chat @ChasingASMBlog. I really like the way you structured this story, Mark–the earlier experience which explains the later one is very cool. This issue and the earlier #39 were two which eluded me back in the 1960s and 1970s. My big score was #14, which I bought in a comics shop off Picadilly Circus during my semester abroad in 1976. IIRC it ran me about 5 pounds (approximately $7.50) and the main reason I broke down and paid the asking price was that the pound declined sharply against the dollar that Spring, and so while it was still the same price in British terms, it had gotten significantly cheaper in dollars. And no, I didn’t negotiate a better deal like I probably could have. I’m terrible at negotiating too! I leave all that to Tim. Haha, good to know you can have such a large collection even with such meager bargaining skills. The way you described that comic seller’s face was priceless. You know that at the end of the day, they’re just trying to make some bank off some old comics. But just the thought of you ticking them off because you’re trying to get what you want for a few bucks cheaper is what really separates average consumers from “true” bargainers. You need a certain amount of not caring for the seller’s feelings to really come out on top with your purchase… something I myself haven’t mastered either! Love the blog. Your stories are always a blast reading. On a side note, I just nailed down this issue an hour ago on Ebay. After years of losing auctions for this, I finally decided to bid an ungodly amount, my very highest I would pay in good conscience and, wouldn’t you know it, the bidding went all the way up to my ceiling and stopped. In no way did I get a good deal on this VF copy, but now I will have it. Like I say to my wife, they’re not going to make any more of issue 40, so it’ll only go up in value. Congrats! It’s an awesome issue obviously and I’m glad it was such an early part of my Silver Age collection! If Joe Harris can’t shoot and can’t defend then he needs to be off the floor. Like Chasing Amazing on Facebook! Mark Ginocchio is a professional writer and editor living in Brooklyn, NY. He's been collecting Amazing Spider-Man comic books since the late-1980s and launched Chasing Amazing in 2011 as a way to tell his story about Spider-Man, comics, collecting and everything else in-between. Copyright © 2013 Chasing Amazing. TruePixel customization by Fancy Pants. Spider Man graphic by CaptainJackHarkness. All images included on this site are for purposes of review and research and are not intended to interfere with the copyright holder's right to use such material for their own commercial goals.